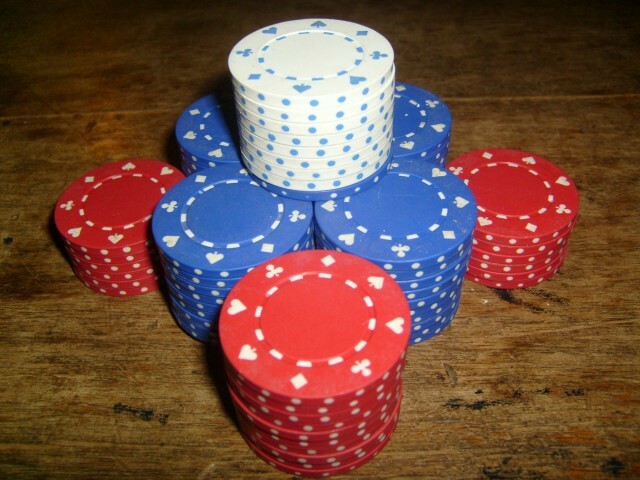 It’s been a little more than a year since April 15, 2011, a date known as Black Friday to most poker players. On that day, every American who visited Fulltiltpoker.com or Pokerstars.com saw an unwelcome Department of Justice logo pasted onto a white background. Since Black Friday, Americans have been barred from playing on the largest online poker sites, arrest warrants have been executed for poker site owners, players have been alienated from many of their heroes, and one company, Full Tilt, has yet to refund over $100 million to its customers. I’ve read dozens of dramatic tales, like these, of how online poker saved someone’s life, but I have yet to find a single story about Black Friday’s effect on a losing player. Allow me to fill that gap. I’ve lost thousands of dollars and weeks of my life because I couldn’t motivate myself to do anything but play my game of choice, Pot Limit Omaha, online. I’ve missed birthdays and professional deadlines to click the tiny “Bet Pot” button on my computer screen over and over and over again. If there were any money in my account, I would play until I could no longer bear the shame of my husband (who is ironically an Assistant United States Attorney that prosecutes white collar crimes, just like the prosecutors in New York who shut down the online poker sites) once again finding me disheveled on the couch cuddling my laptop as he left for work. What makes this surprising is that I am as responsible a live gambler as you will ever meet. I don’t borrow money or play blackjack, and I’ve never put more than a dollar in a slot machine. I can leave a live table before losing my metaphorical shirt, and I’ve never gone bust — I’ve been playing on the same bankroll since 2006, the year I finished second in a World Series of Poker event. Looking back, I’ve spent a lot of time this year trying to understand how someone like me who finds so much pleasure, pride, and financial success from live poker got sucked into the dark virtual vacuum of a click-button nightmare. What I’ve come up with is a list of differences between live and online poker that probably seem obvious to most people, even though they embarrassingly never crossed my mind during any of my countless couch poker sessions. Before April 15th, I could log on and gamble 24/7 without having to make that pesky drive to the casino. Similarly, online “chips” take the casino chip concept of separating a bet from its actual monetary value to the absolute extreme. And online there’s no embarrassing “walk of shame” to the ATM, which at least offers a chance to regain emotional control before returning to the felt. Finally, I realized that the smacking lips of greed and looks of pity on the real-life faces of my opponents keep me in line during live losing sessions, but online, the avatars’ faces are dangerously non-judgemental. I believe these are the seemingly small differences that had a massive effect on my bottom line. Full Tilt still owes one of my old professors $15,000. The guy who hosts my weekly home game is out $8,000, and Keith, the software salesman I regularly play with at the local casino, passionately talks about getting his $500 back like it was $5 million. My sixteen-month-old daughter Charlie is the only reason I’m not also waiting on money from Full Tilt like every other online player I know. After Charlie was born, I promised myself that I’d only gamble online while she slept. But just weeks after my husband returned to work, I let Charlie cry in her crib longer than I should have while I chased online losses. It wasn’t too, too long — just fifteen minutes or so, but the guilt I felt at seeing tears streaming down her face shook me. That night, I activated a self-exclusion feature that wouldn’t allow me to place real money bets until a predetermined number of days elapsed. April 15th came before that expiration date, and what I thought would be a temporary break from an extremely bad habit appears to be a permanent life change. I have real sympathy for those who have lost a source of income, their only sense of entertainment, or the one thing that gave them a sense of purpose in life as a result of this government action, but for me, life has been shockingly peaceful since April 15th. I am winning more from the online players flushed from their man-caves into real-world casinos and losing less since I can no longer hemorrhage money to my stone-faced avatar opponents. At home, Charlie is the only person keeping me up at night. And my husband (the guy who loves me despite my faults and the G-man who pumped his fist in the air after seeing his employer’s logo splashed across my computer screen) and I are finally, and strangely, rooting for the same team when it comes to online gambling now that I’ve been forced to see how nice our life is without online poker. Reflecting on the events of Black Friday and keeping up with the news about the case has also made me realize one other thing. If all the one-sided media coverage of Black Friday is a representative sample of the actual opinions and experiences of poker players, then in addition to apparently being the only person in America who lost money playing online poker, I must also be the only player in America who is selfishly praying that it doesn’t come back anytime soon. Shawnee Barton is a Texas-born artist, writer, poker player, and mother living in San Diego.